As I write this I’m in the midst of an intermittent fast which I started last night at 9pm and will end today around 1pm. I’m doing this because for the past 4 days I’ve eaten more sugary and gluten-full treats than in the previous year combined and felt like giving my gut some time to rest. I’m usually one to follow a pretty strict low-carb Paleoesque approach to eating but decided this year to indulge in the festive season and take part in the socially accepted gluttony that shows up around Christmas time. The trick though is that this year I’ve got my toolkit ready to prevent or reduce all of the associated tiredness, brain-fog, weight gain and feelings of regret that often follow a holiday binge. These tricks and tools are relatively inexpensive, effective, and don’t take much time to work into your schedule. These are things I use and recommend on a regular basis whenever needed, it just so happens that during the holidays are when we typically need them most. 1. 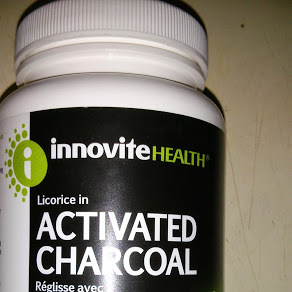 Activated charcoal: This has been a game changer for me and countless others who have discovered the wonders of charcoal. Now I gotta give full credit here to Dave Asprey for popularizing this stuff under the Bulletproof Banner, and although I haven’t used his brand personally I appreciate the work he’s done to push this supplement into the hands of more people. How it works: Due to it’s insanely high micro-porosity – the many tiny holes or pores on it’s surface – the surface area of just 1 gram is above 500m2 or 1/10th the area of a football field. This allows it to bind with and draw substances which we want to pass through us rather than be absorbed by us. It’s been used widely to treat victims of poisoning as well as sold as an over the counter for reducing gas and soothing digestion and for this reason it belongs in everyone’s toolkit during times of over indulgence of less than ideal food and drink. I tested it out recently when on Christmas eve as we were closing down at work (Whole Foods) the shift leader comes on the speakers and announces that the baked goods are up for grabs and that anyone interested should head over to the bakery. I work right beside the bakery in the Deli and watched as team members flocked over and descended like vultures (merry and delighted vultures) on the racks of cookies, muffins, biscuits, croissants and scones. Usually I don’t touch gluten filled, vegetable oil laced sugary treats like these but I got caught up in the holiday fervor and quickly found myself with a bag containing 6 cookies and 1 muffin. I then proceeded to eat 4 of those cookies and the muffin over the course of the next hour and thereby give myself the biggest dose of less than ideal ingredients that I’d probably had in years. In the past this would have meant hours of uncomfortable gas and bloating. In this case, what saved me (I believe) was the charcoal because as I filled my face with sugary goodness I also took 3 capsules of charcoal which I credit for helping me to wake the next day without sugar cravings, no gas and feeling pretty much at my usual level of everyday awesome. 2. Enzymes: Digestive enzymes are another easy and effective way to help limit the damage of holiday gluttony and reduce the impact of the many gluten and dairy bombs awaiting us at this time of year. If you’ve never taken gluten and dairy out of your diet for more than a week or two then you probably have never felt the full effects of a gluten or dairy bomb as your body has built up a tolerance to these foods, but for many of us that have experimented with removing these foods, we know all too well the energy sucking, digestion disturbing potential that awaits. You can get broad spectrum enzymes with HCL (stomach acid) which is what I’ve been using lately or you can get enzymes specifically for dairy and wheat as these tend to be the most problematic. How they work: When we eat excessive amounts of food or certain types that we don’t digest well we can supplement our bodies natural enzyme production with exogenous enzymes that allow us to deal with increased quantity and variety in our meals. How to take: Take a couple caps with or after a meal as per the recommendations on the bottle. Note: These are not to be taken with every meal for long periods of time as doing so will reduce your bodies ability to generate them itself. To prevent dependency take a week off every month or two at the very least. 3. High Intensity Interval Training: The jury is IN when it comes to the minimum effective dose of exercise and it’s clear that with just 15-20 minutes (actual training time) 3 times a week of high intensity training such as sprinting, kettle-bell circuits, weight lifting etc. The exercise is done so that it pushes you close to your limit and then allows short recovery periods, one example is the traditional Tabata approach of 20 seconds of work followed by 10 seconds of recovery. Training in this way produces a much more pronounced metabolic effect and by breaking down muscle you stimulate the synthesis of new tissue which will further increase your metabolic needs and put those extra nutrients into growing muscle rather than storing fat. 4. Catch up on sleep: It’s amazing to me how the holidays which are meant to be times of rest, socializing, relaxation and reflection have been turned into worshiping the Gods of materialism and consumerism. Often times we get so caught up with the things we’re gifted or that we give as gifts that we end up missing out on the opportunity to connect with loved ones and recharge our batteries for the new year. Go out, be social, and be sure to allow your body the sleep it needs as just one night of poor sleep has the ability to trigger carbohydrate cravings and disrupt the hormones associated with hunger and satiety as documented here. The timing of sleep is important too as 8 hours from 10pm-6am is usually dramatically more restful than 8 hours from 2am-10am. This is due to our circadian rhythms and the various stages and cycles of regeneration and recovery that take place once we fall asleep. Reduced sleep leads to a decrease in our satiety hormone leptin and an increase in our hunger hormone ghrelin. Both of which work against us in our quest to prevent fat gain. 5. Intermittent Fasting: This one is simple but not so easy the first couple times as the goal here is to go for a period of 12-24 hours with no caloric intake as a way to give your system a rest and help trigger enhanced fat burning effects. There are many specific ways to do this, I like the lean gains method where you follow a 16 hour fast with your workout and then break the fast with a large meal. Alternatively there is the Eat Stop Eat method of a simple 24 hour fast mixed into your schedule every so often. A good daily practice is to have a 12 hour window each night / morning for letting the body rest and recover without having to process food. If you can’t make it through, try using some greens powders or tea with coconut oil added for a bit of a energy boost and appetite suppressant. 6. Spending Time with Loved Ones: This to me is the whole reason behind the holidays and though it may seem counter intuitive as a weight management strategy it can in fact have a strong effect on your emotions and thus your ability to make healthy, conscious choices. The way I look at it is that when you feel loved and appreciated you are less likely to have emotions affect the way you eat. If you have solid, nurturing relationships that provide you the sweetness of life that we all desire then you are less likely to go looking for it in food. Alternatively, if you are living in isolation and cut off from the people you care about it can be very easy to let the addictive boost of pleasure derived from eating a tub of ice cream or a chocolate bar or a couple donuts entice you to indulge. Whatever your drug food of choice may be you are less likely to go looking for that if you are already in a state of holistic well being where your needs are being met. I suggest getting your fix from natural oxytocin by enjoying lots of hugging, kissing, dancing and love making rather than looking for a cheap substitute from food. But when you are going to enjoy those sweets, double your pleasure by sharing them with company. As always, if you’d like to chat for 15-30 minutes to discuss your health symptoms and goals then email me at optimalhealth@bryanhardy.ca to schedule your complimentary call. P.S. If you’re reading this after the holidays and are feeling like you need a reset then check out this post on a great 10-day program for resetting metabolism, burning fat, eliminating cravings and detoxing your system.